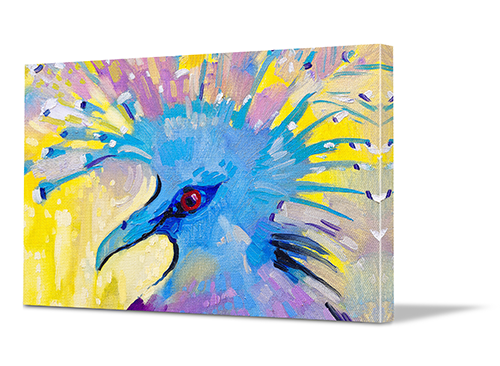 If you're looking for canvas prints in Australia, you've come to the right place. At Canvas Printers Online we specialise in turning your favourite photos and snaps into high-quality wrapped canvas prints, stretched and ready for you to hang. The best part? You don’t even need to leave the comfort of your own home. That’s right, you can design your canvas print entirely online and we'll do all the hard work of checking image quality, printing, stretching onto frames and shipping straight to your door, wherever you live in Australia. It’s that simple. We pride ourselves on how easy we've made it to do your canvas printing in Australia entirely online. Simply upload your photos directly from your computer or from one of your social media profiles. After that, all you need to do is select the style and size of the canvas that you want – for example, you might choose a single canvas print, a stunning split photo canvas print (perfect for panoramas) or a wall display with multiple photos. We even provide you with a wide variety of special effects and filters that you can apply to ensure your prints are truly unique and creative pieces of art. 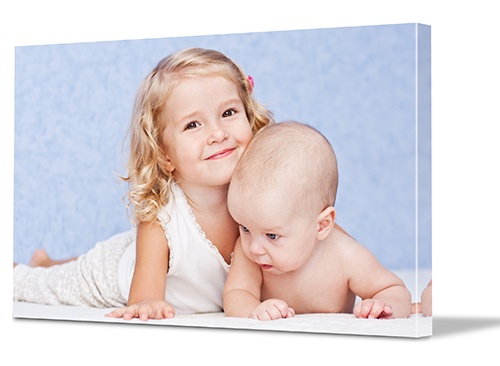 Because we cut out all the middlemen, you’ll find that Canvas Printers Online is the leading provider of cheap canvas prints in Australia. Our business is entirely online, which limits our overheads and allows us to pass on trade prices to you. Just because our prices are low, however, doesn’t mean that we’re scrimping on quality. In fact, it’s quite the opposite: We use only the latest and greatest in Epson printers and Epson ink in our printing process. This means that all of your photos are lovingly recreated and made into stunning pieces of art. 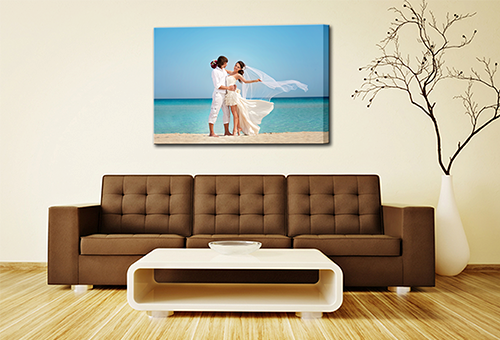 We even believe in the quality of our canvas prints so much, we offer all our customers a 100% satisfaction guarantee. Don’t have a favourite photo or don’t want to use one of your own? That’s not a problem. We have one of the largest online image galleries in Australia that you're welcome to use free of charge. There are over 20 million images and photos in our library from a variety of genres that stretch from architecture and aboriginal art to urban art and landscapes. So no matter what your taste is, we’re sure to have the perfect image to complement the style of your home’s décor. Got a question that wasn't answered?